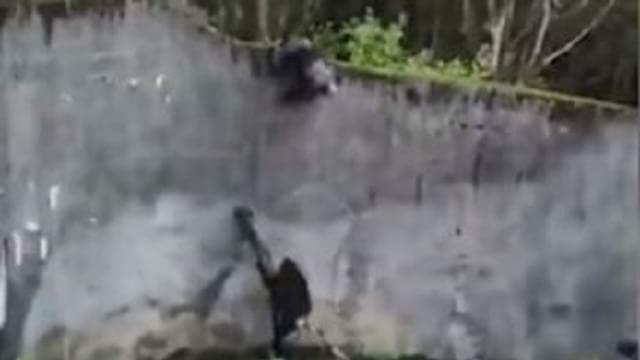 Zoogoers were amazed and concerned after several chimpanzees escaped their enclosure at a Belfast zoo. The apes, using their human-like minds, made a makeshift ladder out of a tree branch, and were able to leap to their freedom. However, much like Brooks in Shawshank Redemption, they were institutionalized, and the outside world scared them… They all returned to their habitat on their own.